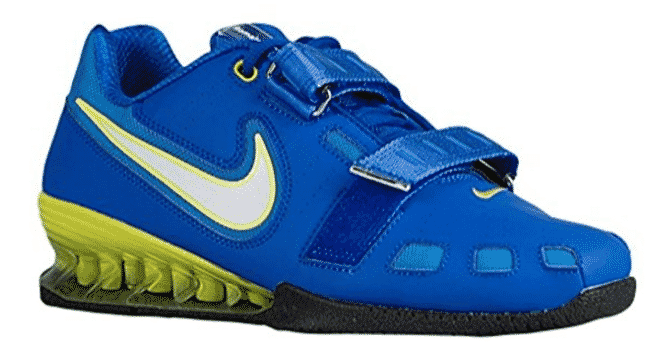 There’s no denying that Nike has built a strong name for themselves in the strength world for their Nike Romaleos lifting shoes. The Nike Romaleos 2 were released around January 2012. After five years of feedback and responses to this shoe, Nike constructed the Romaleos 3, which were released in January 2017. A lot of companies keep their shoe models eerily similar in construction, but Nike’s Romaleos are somewhat of an exception to the rule. Sure, they have a few key similarities such as heel height and material, but if you look closer, then you’ll notice there are far more differences than similarities between these models. Image(s) courtesy of Amazon.com and Rogue Fitness.com. In this article we’re going to objectively look at the Nike Romaleos 2 and 3 models and compare them in a variety of categories. Is one better than the other? That’s hard to say definitively, so we’ll break down each shoe’s specs individually. A cool feature that comes with the Nike Romaleos 2s are the soft and hard insoles they come with. These insoles were constructed to give an athlete the option between their shoe’s feeling. There’s a softer “training” insole, and a stiffer “competition” insole. The softer insole gives this shoe a weight of around 17 oz, while the stiffer insole puts them around 19-20 oz. At the time of their release, the Romaleos 2s’ weight was a 25% reduction from the original 2008 Nike Romaleos. Regardless, compared to shoes now, a weight of 17 and 19-20 oz is slightly heavy, especially compared to the Nike Romaleos 3s. Similar to the Nike Romaleos 2, the 3s come with two soles, one being stiffer than the other. The lighter sole gives the Romaleos 3s a weight of 13 oz, while the stiffer sole comes out to 15 oz. This is a cool feature for an athlete who has a particular feeling they like when moving weight. In addition, it’s a nice feature for the athlete who’s just starting to use lifters, as then the Romaleos 3s’ weight won’t be too much different than a regular tennis shoe. For this reason, we felt the Nike Romaleos 3 takes the edge due to the dual sole feature. The Nike Romaleos 2s are equipped with a standard heel height of .75″. This heel height is standard for a lot of lifting shoes, and tends to be a good fit for most lifters. For athletes without specific anthropometric asks, then a .75″ heel will prove to be a versatile options for a variety of movements. The Nike Romaleos 3s come with an effective heel height of .79″. This difference is so small to the norm of .75″, that they’re still often grouped in the .75″ heel category. A heel height of .79″ make them eerily similar to the previous Romaleos 2 model, and will offer similar effects on an athletes lifts. Since both of these heels are very similar it’s tough to call a winner on heel height alone. For this reason, we’re giving them a tie in this category. One of the defining characteristics that makes the Nike Romaleos 2 different than the 3s, and many other shoes is their foot security. They offer two straps, which cover the upper portion of the tongue, and a lower area on the foot above the toes. This provides a lifter with the ability to give themselves full foot security, although, some lifters weren’t fans of the strap overlap that came with full tightness of the Romaleos 2s. For this model, Nike decided to drop the double straps for the Romaleos 3 and utilize a single mid-foot strap. The strap they use is slightly wider than normal lifting shoe straps, and provides ample security around the arch of the foot. In addition, Nike carefully curated this strap to avoid overlap that some lifters experienced in the Nike Romaleos 2s. As mentioned above, the Nike Romaleos 3s offer a better fitting strap, but the Romaleos 2s provide a better feeling of total shoe security. 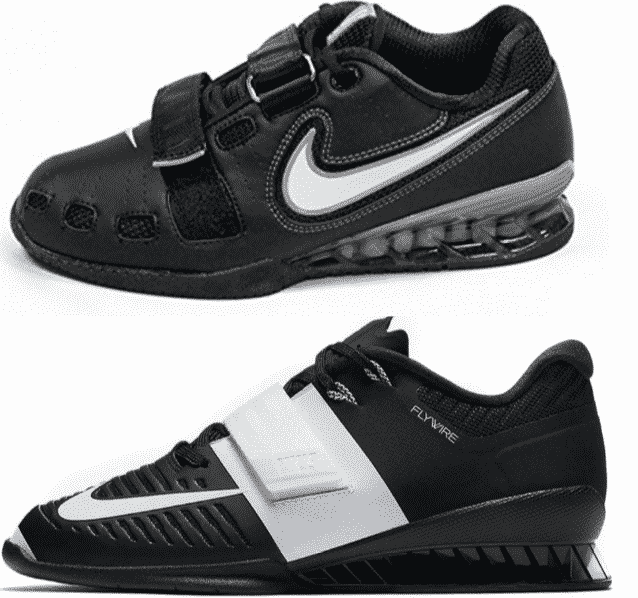 If we compare these shoes in terms of pure security, and ignore strap overlap, then the Nike Romaleos 2s win. The Nike Romaleos 2s are a slightly heavier shoe that are composed of a stiffer leather, nylon, and mesh mixture. Their heels are made out of TPU, which is a lightweight material known for its ability to resist abrasion and compression. In addition, Nike used their Power Bridge technology throughout the heel of the shoe. Their soles are composed of a stiffer rubber-esque material, and have proven to be resistant to easily breaking, or morphing under pressure. 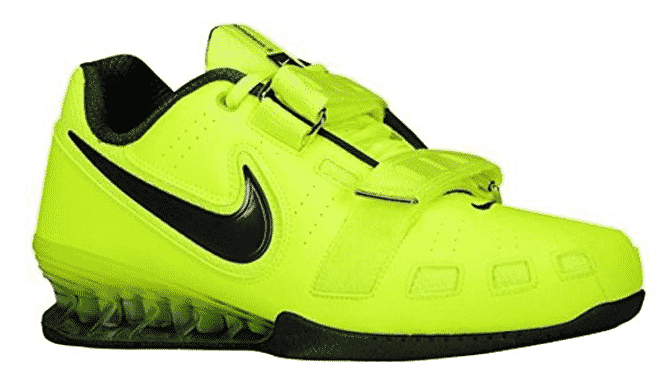 To top it off, many lifters still utilize this shoe, and typically mention how it’s one of the most durable lifters they’ve tried. One downfall a few athletes have already experienced with this model is their durability. This shoe is much lighter than the Nike Romaleos 2s, so their construction is different. Two durable aspects of their construction involve Nike’s Flywire material and a TPU heel. These are parts of the shoe that athletes haven’t had many issues with. If we look at durability alone, then we have to award the Nike Romaleos 2s with the win. They’ve stood the test of time, and continue to prove to a be long lasting shoe. Another positive that comes with older shoes like the Nike Romaleos 2 is their price. Since they’ve been on the market for over five years, then you can typically find them for lower prices. On Amazon, prices vary, but on the lower end you can expect to pay around $140.00 for this shoe. Yet, there’s a catch. Since it’s an older model, then there’s a good chance you won’t find the color scheme you desire. In addition, athletes with generic shoe sizes may also find it’s tough to find their perfect Nike Romaleos 2 model. You’re going to pay a little more for the Nike Romaleos 3s, which is to be expected since they’re the newest model. On Rogue Fitness this model ranges from $149.00 – $199.00, which varies pending on color scheme. Personally, I don’t think this price is too off putting, as their cheapest models are only $10.00 more than the five year old Nike Romaleos 2. Additionally, the Nike Romaleos 3s have a ton of color schemes, and will more than likely have the shoe in stock you desire. I like that this model’s price can be comparable to the 2s and it’s a much newer version. For this reason, I think the Nike Romaleos 3s earn the win for price. This comparison was extremely close, and honestly, the Nike Romaleos 2 could easily be the top choice for multiple athletes. Each shoe offers similar asks when it comes to big deciding variables such as heel height and material, but differ when it comes to weight and foot security. Personally, I like that the Nike Romaleos 3 weigh less and have a price that’s now comparable to the Nike Romaleos 2s. Yet, the Nike Romaleos 2 are tried and proven when it comes to durability, which a ton of athletes advocate and love. My main concern with the Romaleos 2 is finding them in your correct size, and their lack of warranty. The Nike Romaleos 3 barely earn our vote for three reasons: They still have a warranty, their price is dropping, and they’re slightly more versatile. Feature image(s) courtesy of Amazon.com and Rogue Fitness.com.